2012 is Over... Spiritual Growth is Not. Massive Positive Change is Forecast For Years to Come! When 2012 ended, the values focusing on money(possessions), power and control became obsolete. A new world age based on love, brotherhood, unity and integrity was prophesied to take its place. If what the Maya said is true then today's worldwide upheaval is eliminating the old values and transitioning us to the new...and it's not over yet by a long shot! Humanities Intuitive Knowing Eyes are Just Starting to Open! The ancient Maya said we have been asleep to our true natures. Waking up is a slow but exciting process. In fact it's perfect, as Byron Katie would say. The last great cycle ended around December 21, 2012, and with it the old values have begun to deteriorate. Humanity is waking up to its true nature and slowly taking back it's innate personal power. As this process unfolds we will start to have an inner knowing that will instantly guide us as to what's truth or a lie...good or not. We will be able to live and know the new values of love, brotherhood, unity and integrity in their truest sense for the first time. The hold of the old values on humanity is weakening. I can see and feel it daily as the old sleepiness of complacency, blind trust and helpless acceptance is lifting. The internet with its organic (Google) searches are not controllable. The internet is educating the public in ways never before possible. People are questioning the motives behind new laws, conflicts, as well as new products or procedures that don't serve humanity or the environment. They are finding out that those who were projected as our enemy are just people like us, and those who say they are on our side...are not. All that is not of love, brotherhood, unity and integrity is starting to crumble. But, it will not give up easily and there will be a lot pain and suffer before the winds of change get into the sails of the new values. So what does spiritual growth have to do with 2012, the Mayan and other prophecies?... EVERYTHING! Rising in consciousness is what they predicted. To alert us about 2012, the Maya broadcast their discovery on their buildings, rock faces, and stela. Other ancient cultures such as the Hopi Indians, the Egyptians, the Greeks, and the Babylonians also saw the same future for us at this point in history through mathematic calculations in the night sky. The children born near the great cycle change are much different, and their parents don't understand what makes them tick...some of them don't either. These indigo, crystal and rainbow children display many new values and innate abilities their parents don't possess. The "in tune" children of today don't think the same, and are leading the way to a whole new way of life. One that is calmer, freer, inclusive, more fulfilling, intuitive, and loving. Watch for greater harmony amongst all humanity as the dust settles. Most people fear change, and great change on earth and within, is what was predicted for 2012 and for years to come. It's happening right now...whether we like it or not. The dynamics are shifting on the planet, and our children the indigo, crystal and rainbow children are leading the way into the Age of Aquarius. You will see, and start to understand the changes. You will know why they're happening. I'll show you why it's time for us to rely on, and honor our own "feeling/intuitive side" to show us the way. This side of us is ready to take its rightful place back in our consciousness. I will help you understand this forgotten side and why it's crucial for each one of us to heal and welcome this forgotten feminine energy back. She is the guiding force we all possess but have for the most part rejected...till now. My first goal with this website, is to help you and your children understand what is happening in the world today and why. It really is quite brilliant when you see the universal process. My second goal is to make these ancient prophecies more understandable so you can decide for yourself what is true. My third goal is to give you practical information that will help you transition to the values of the new great age that began in earnest in 2013. 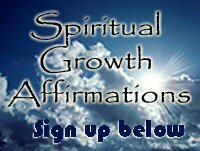 I will also give you important tips and processes on the best ways to thrive and grow spiritually in this world of chaos. The mysterious Maya and, other ancient cultures...how they knew over 2000 years ago about the unprecedented changes in 2012 and beyond. Great ages explained, such as the Mayan great cycle, the Age of Aquarius, other ancient culture ages, and why they come to the same conclusion. Earth changes explained, why they are happening, and how humanity will eventually adopt a much simpler, more fulfilling lifestyle that is closer to nature. The author and the spiritual journey she is taking to bring you this website. A new website is now here: "Raw Food and Why it's the Only Change Necessary to Cleanse our Bodies and Achieve Vibrant Health"
When we connect the dots, we'll see how earth changes are steering us towards a higher level of consciousness, even though we fight them. We are going through a cleansing process and cannot stop it! The prophecies left by the Maya predicted GREAT HOPE...not disaster. My mission is to share positive, helpful information you can use right now to embrace the gifts of this new Great Cycle change now and beyond 2012. Our experiences of heaven or hell will be in direct proportion to our willingness to clean up our personal values, beliefs, and mental dirty laundry. Yes it's time to get to work! Continue the journey with me on my new website.